Got an ear full? Here's some advice. Some earwax is good for your ears, so often the best policy is to leave it alone. And a few drops of water may be all you need to get rid of a blockage. Earwax, a bodily emanation that many of us would rather do without, is actually pretty useful stuff — in small amounts. It's a natural cleanser as it moves from inside the ear canal outward, gathering dead skin cells, hair, and dirt along the way. Tests have shown that it has antibacterial and antifungal properties. If your ears don't have enough earwax, they're likely to feel itchy and uncomfortable. And if you don't have the right kind, you may be more likely to get ear infections. Researchers have found that the earwax of people with diabetes is less acidic than that of people without the disease, a difference that may help explain why some people with the disease are prone to ear infections. But for many people, earwax is manifestly too much of a good thing. 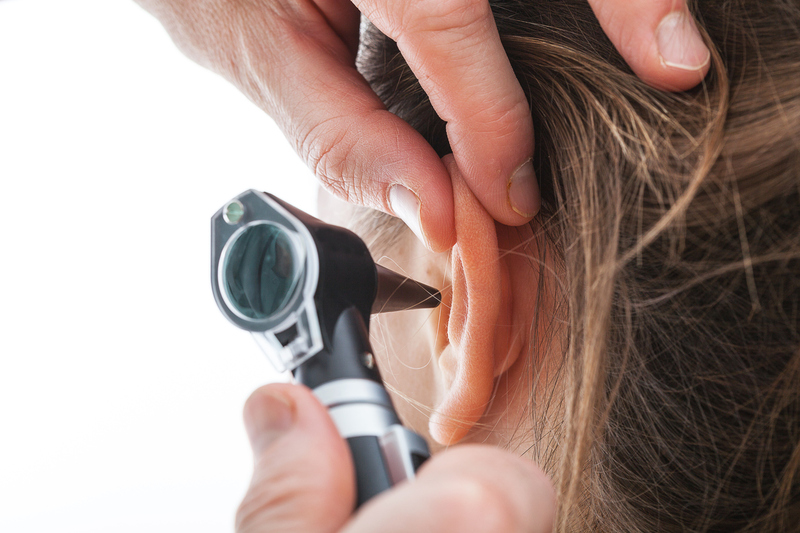 An ear canal plugged up with earwax can cause earaches, infections, and other problems. If it gets lodged in a certain way, earwax can cause a cough by stimulating the branch of the vagus nerve that supplies the outer ear. And, not surprisingly, an excess of earwax can result in some loss of hearing. Guidelines from the American Academy of Otolaryngology–Head and Neck Surgery stress a let-it-be attitude toward earwax and warn against removal unless the earwax is causing a problem. Of course, sometimes it's difficult to tell if the wax is the source of a problem without removing it and seeing whether the problem goes away. The medical term for earwax is cerumen (pronounced seh-ROO-men), which comes from cera, Latin for wax. It starts as a mixture of fatty secretions from the sebaceous glands and sweat glands in the walls of the outer ear canal (see illustration). Jaw movement from chewing or talking helps propel those secretions through the canal to the ear opening, where they dry up and harmlessly flake off. Dead skin and other debris combine with secretions from sebaceous and modified sweat glands (see inset) to create earwax. Earwax that picks up a lot of debris or sits in the ear canal for a long time can get hard and dry, so it's more likely to cause a blockage. Conditions that produce a lot of dry, flaking skin, like eczema, can also result in hard earwax. And with age, the glandular secretions change consistency, so they don't travel as easily through the ear canal. Some people are simply born producing dry earwax that may be more likely to clump. For example, dry earwax is more common in East Asians. You can get medical help to remove a blockage; earwax removal is the most common otolaryngologic procedure performed in American primary care settings. Or you can take a do-it-yourself approach. The thing that many people do — but shouldn't — is try to remove the wax with a cotton swab, which tends to push the earwax back into the ear. Instead, soak a cotton ball and drip a few drops of plain water, a simple saline solution, or hydrogen peroxide into the ear with your head tilted so the opening of the ear is pointing up. Keep it in that position for a minute to allow gravity to pull the fluid down through the wax. Then tilt the head the other way and let the fluid and wax drain out. You can also use a bulb syringe to swish out the ear. Earwax forms in the outer third or some of the ear canal, not near the eardrum. So when there's a buildup right up against the eardrum, it's often the result of failed removal attempts. In addition to the cotton swab, people use bobby pins, pencils, and twisted tissues and the corners of napkins. You can buy over-the-counter eardrops that break up earwax. The water-based ones contain ingredients such as acetic acid, hydrogen peroxide, or sodium bicarbonate. Oil-based products lubricate and soften the earwax. Studies haven't shown one type to be better than the other. Sometimes the eardrops will work on their own. Other times, a few squirts of water with a bulb syringe are needed. No one with a damaged eardrum should use a bulb syringe. If water gets into the middle ear, a serious infection is possible. A clinician tackles an earwax blockage in pretty much the same way as a do-it-yourselfer, but with more expertise — and with a better view. Clinicians also have far better tools for mechanically removing earwax: slender, spoonlike curettes that can fit into the narrow space of the ear canal. Hearing aids, which block the normal migration of earwax out of the ear, may also stimulate glands in the ear canal to produce more secretions. By some counts, between 60% and 70% of the hearing aids sent in for repair are damaged by earwax. It gets into vents and receivers, and the acidity degrades components. Ask your primary care clinician to look for earwax buildup if you wear a hearing aid.